To end the week of perfect items, I'm wearing as many as I can in one outfit today.. The perfect scarf was a sell out (thank you!) and the wholesaler has no more so I'm really sorry if you missed out on that one. But if you've already ordered or emailed me to hold one over in the past couple of days, don't worry - I've accounted for that in the delivery coming on Monday. They will all be dispatched then. This post had originally suggested my shades of Grey leopard print scarf instead but it's sold out now also...so alternative number 2 is this one with very similar colours, along with some camel/tan too so it's very versatile! and I appear to have acquired the perfect handbag too! Check out this beauty from Siopaella, a consignment store in Dublin that stocks the most amazing range of gently used designer and high-end high street clothing and accessories. Check out their Facebook page here and they post to the UK. 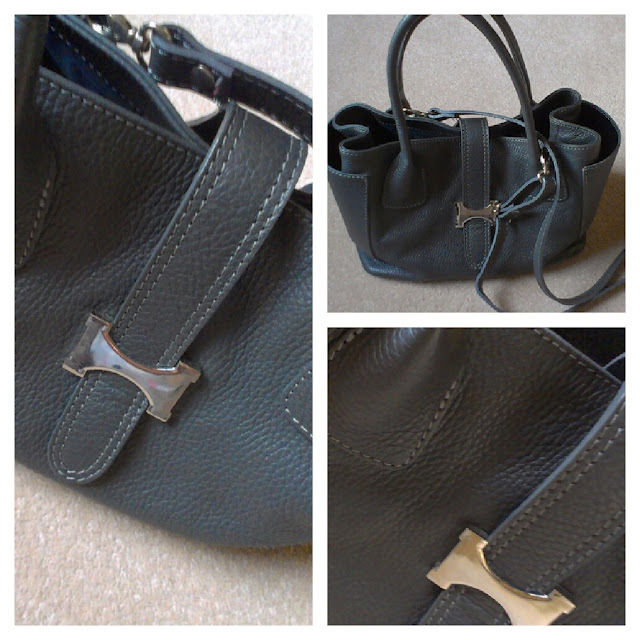 This bag was unbranded but is made from the softest, most gorgeous grey leather. 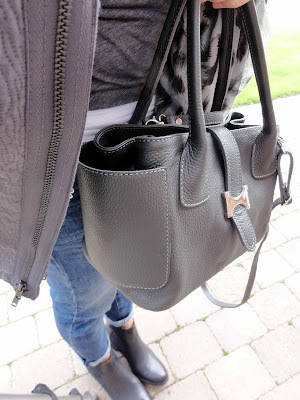 I had been looking for a grey handbag for a few months and this ticked all the boxes. I hope you have a fabulous weekend and I'll be back on Monday with a post about hair removal - something to look forward to, eh?? Haha, I promise - there are no hairy photos! 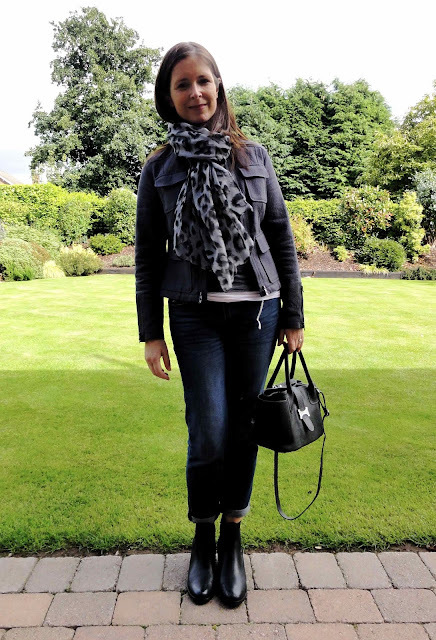 Great series of posts and lovely outfit. It really is the perfect outfit Avril! You look great! Just ordered the leaves necklace! Will post a photo when I get it though not sure I'll look as perfect as you. Awww, are 'The Perfect ..' posts finished? Really enjoyed them. Love the bag; great find. The perfect finishing touch for your outfit. Loving my SGS scarf by the way and given the change in weather, I definitely needed it today! 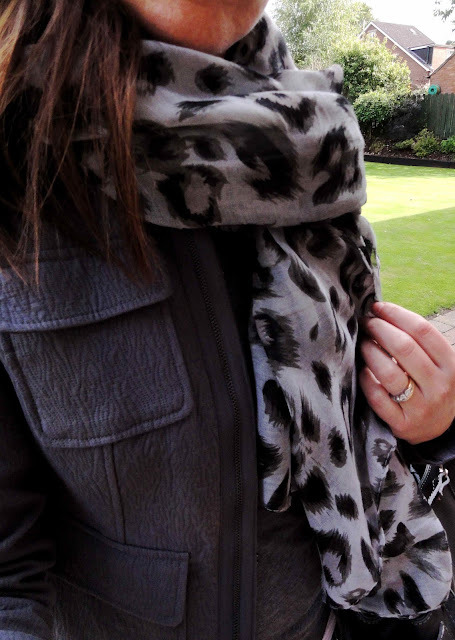 Good tips - I will be using them at the other side of the school gate;) Need that scarf, gorg print!